The starting point for the Joanne (Joe) Bingley Memorial Foundation was a tragic event that could have been prevented. The grief and pain that Chris Bingley felt developed into anger as he started to investigate and search for answers to his wife’s death. What Chris found made him concerned at the lack of prioritisation given to patients suffering from postnatal depression, despite the existence of current European Union Human Rights legislation and, UK Human Rights Laws (see reference page for links to these websites). He also found that the understanding and implementation of the National Institution of Clinical Excellence (NICE) guidelines and NHS policies on Perinatal Mental Health were patchy at best. Furthermore, the highest cause of maternal deaths in the UK is now suicides as a result of mental illness – postnatal depression. 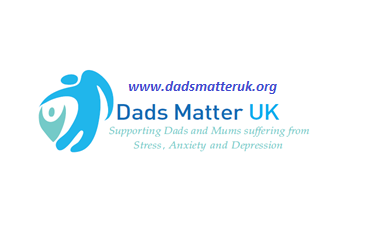 To help and support other people who are suffering or may suffer from the effects of postnatal depression and the devastating effect it has on a family. To raise awareness, tackle stigma, promote research and educate people about postnatal depression. As a tribute to a woman who had given many years of service to the NHS and was a dedicated nursing professional. Joe was a lovely, happy bubbly person, kind, thoughtful and committed in all she did. Chris and the trustees aim to work to inform, educate, raise awareness and provide support for mums, dads and families whose lives are affected. They hope that their activities will drive through changes in the understanding and implementation of standards and guidelines in the health service; and patients will know what should be available to them. The Foundation does not intend to be a stand alone organisation and connections have been made with other like minded people and organisations to work together and speak with one voice on this issue. See our support us page to join our campaign. What we are doing and what is happening nationally to tackle postnatal depression.